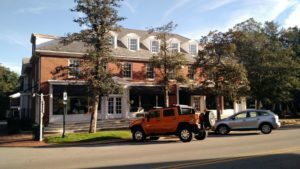 Prime Office location in the heart of the Village of Pinehurst. Pedestrian shoppers and visitors to Shops, Restaurants, Inns, Banks, Resort. Copyright © 2019 Dishner Developers Inc. | NC Builder Websites by Tangram Media Inc.